Paris Saint-Germain defender Marquinhos is the latest figure to have played down speculation that Neymar could return to La Liga with Barcelona or Real Madrid. Barca vice president Jordi Cardoner and Neymar himself had both dismissed reports of a move back to Spain for the world's most expensive player. Football can be fascinating even when it is dull. The first half of Brazil's World Cup warm-up friendly against Croatia is a case in point. Brazil ended up winning 2-0, but they were shaded in a first half that will surely leave coach Tite with much to ponder. 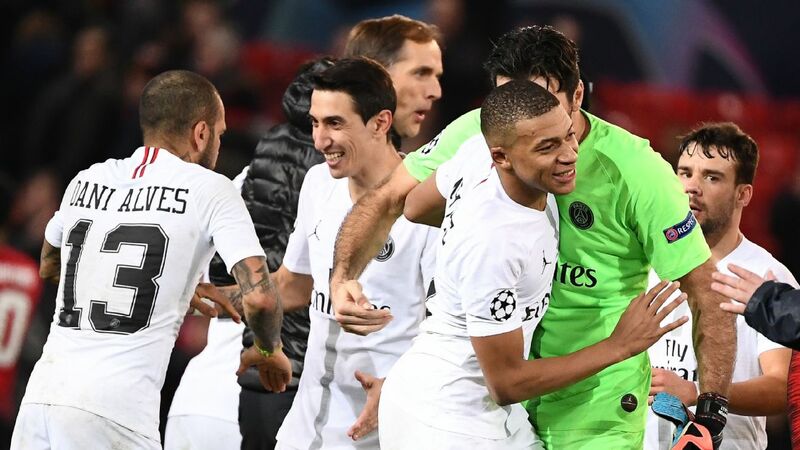 PARIS -- Paris Saint-Germain defender Marquinhos believes that the French capital outfit need greater experience and maturity after a 2-1 defeat at home to Real Madrid on Tuesday confirmed a Champions League exit at the round-of-16 stage for the second consecutive season. Goals from Cristiano Ronaldo and Casemiro were enough for Zinedine Zidane's men to complete a 5-2 aggregate win at Parc des Princes and Edinson Cavani's short-lived equaliser was the scantest of consolation goals. On Tuesday, Paris Saint-Germain won 3-2 away at Rennes to reach a fifth consecutive Coupe de la Ligue final. The French capital outfit had Kylian Mbappe sent off, but goals from Thomas Meunier, Marquinhos and Giovani Lo Celso were enough to ensure that Unai Emery's men booked their Stade de France berth. PARIS -- Paris Saint-Germain will rest defender Marquinhos when they take on Troyes in Ligue 1 on Wednesday. Marquinhos is given a break by coach Unai Emery, who is without midfielder Thiago Motta as he continues his recovery from a knee operation. But the Ligue 1 leaders are otherwise at full strength, with the star "MCN" attacking line of Kylian Mbappe, Edinson Cavani and Neymar all included.